Amaryllis are some of the easiest bulbs to bring to bloom. They’re versatile, doing as well indoors as they do in the garden. If your amaryllis grows outdoors, you may wish to harvest some of the blooms to add a festive touch to your Christmas decor. These simple steps will ensure your harvested amaryllis stays fresh and beautiful for longer. Know how to cut them to get a better bloom for a longer time. Amaryllis flowers will last as long as a cut flower as they do while growing. It is beneficial to the plant if you harvest the bloom just before it opens, as this helps the bulb to conserve energy. The saved energy is directed into more glorious blooms in the future. Harvest the flower when the bud is soft and just about to open. Hints of colour should tell you it’s ready! Cut the Amaryllis stem about 3 centimetres above the bulb. Use a sharp knife to cut the stem, Amaryllis have hollow stems so using garden scissors may cause them to bend when they’re cut, damaging the bloom. Support the stem while you harvest it. Place the harvested stems, at the height they are, in room temperature water. 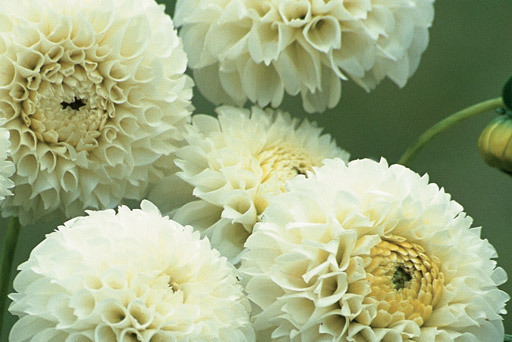 Place them in a vase that’s a suitable height to support the blooms. Keep them in a cool place overnight, so that they can rest. In the morning, you can trim them down to whatever height you wanted them. This rest period is an essential step if you want your cut Amaryllis blooms to last as long as your growing ones do. Amaryllis’ sophisticated trumpet-shaped bloom have the power to draw attention to themselves, regardless of how they are arranged. 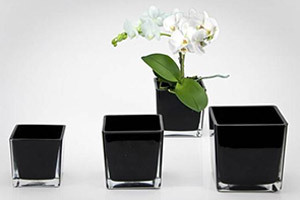 Simply placed in a vase and left tall will make a statement already. They also blend beautifully with other flowers if they’re arranged together. When you choose a vase, make sure it’s clean. Cloudy water will shorten your Amaryllis’ life. Add Chrysal flower food to the vase. If you don’t have any, click here to visit our online store. 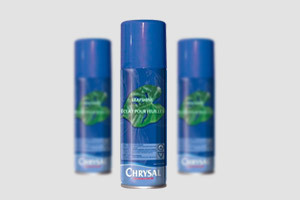 Maintain your arrangement by topping up with fresh Chrysal flower food solution as needed. Trim the Amaryllis’ stem if you see it curling or looking soggy. Remove any grime from the vase by washing the sides of thoroughly. Remember to replenish the water with flower food. Remember, your Amaryllis will take around 5 weeks to bloom from the time you plant them. Ordering them now will ensure you receive them on time to have flowers for Christmas. What’s great about Amaryllis is how easy they are to grow and how rich the rewards are when they bloom. Learn more about extending the life of your cut flower from Chrysal’s website, or contact Hadeco, we love to help.